As a doctor in South Central Los Angeles, I’ve come to realize: my job isn’t just about treating a patient’s symptoms, but about getting to the root cause of what is making them ill — the “upstream” factors like a poor diet, a stressful job, a lack of fresh air. Upstreamists like me — and we can be doctors, nurses or other clinicians — know that asthma can start in the air around us. We know that ailments such as depression, anxiety and high blood pressure can arise from chronically stressful conditions at work and home. We see how policies that deny opportunity, fairness and justice can be reflected in patients’ faces as well as in their DNA. And, just as important, we understand how to translate this knowledge into action. The upstreamist considers it her professional duty not only to prescribe a chemical remedy but also to tackle sickness at its source. There aren’t nearly enough of these pioneers working in health care today, but our ranks are slowly growing. Want more information about the everyday facts that contribute to patient health? 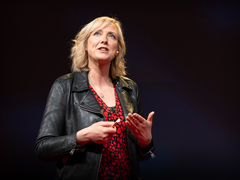 Watch my TED Talk (What makes us get sick? Look upstream). Interested in improving your own upstreamist health care? Below, six simple ways to start. 1. Identify everyday risks in your home, workplace, school, community or society. Some of these problems you might be able to fix yourself. For the others, the rest of this checklist offers different avenues. There’s a reason why billions of dollars are spent each year by pharmaceutical and medical device companies on marketing that urges us to “ask your doctor about [insert brand-name drug or procedure here].” Because it works. Millions of people walk into their doctors’ offices and ask about brand-name products they’ve seen advertised. Evidence shows this significantly influences doctors’ prescribing, even though doctors often believe they’re immune to it. But we can deploy the same tactic to engage more clinicians in thinking about creating a better standard of care. So, next time you visit your doctor, try asking: “Doctor, do you consider yourself an upstreamist?” If she’s confused by the question, it’s OK. Just share your own understanding of the ways in which your health begins where you live, work, eat and play. 3. Share information about you and your community with your doctor. More and more people are downloading mobile apps and donning wearable sensors to collect data on aspects of their daily lives (such as air quality, diet and exercise). The “quantified self” movement presents an exciting opportunity for all of us to support the upstreamist approach. If you’re motivated to discover patterns in your health and environment, download one of the many apps (iHealth, for example, tracks your blood pressure, physical activity and calories burned). Share your discoveries with your doctor; she can help you interpret your personal data. As a bigger thought: A whole neighborhood could aggregate its data to form a “quantified community,” helping health workers to spot common health problems or social needs that demand intervention. Not a gadgethead? You can still help by sharing information about community resources with your clinic. Don’t underestimate the value of your own knowledge about local resources for healthy living. Is there a favorite park, walking trail, or exercise program you use? Do you know about a great farmers market or a housing lawyer who’s open to pro bono work? Tell your doctor about it. She and her colleagues can share that knowledge with other patients who may benefit. 4. Rate your health care. Every hospital and clinic is audited on a host of measures — details that get right down to the cleanliness of exam rooms, adequate stocks of medication, and patient satisfaction. Identify the health and social needs of the community it serves? Have a dedicated person or team working to address the social conditions that make people sick? Screen patients for risk factors in their homes, workplaces and community? Connect patients with resources in the community that can help solve social needs? Help improve social and environmental conditions in the wider community? Share your results with neighbors and your city or county health department. Let your health plan, employer and union know that you’re interested, as a consumer, in using these measures to evaluate providers in your plan’s network. 5. Vote with your feet. If you ask local clinics these questions, you may find that the highest-scoring clinics also seem to offer the best quality and most personal care. Upstreamist clinics employ people who want to understand and improve health in its social context — which means they might just figure out that your migraines are due to the mold in your home, and then find you a tenant advocate instead of dosing you up with ineffective pain pills. If you realize you like your clinic’s approach to upstream health, tell your friends and encourage them to check it out if they’re thinking of switching. And if you’re looking to change doctors, vote with your feet — and your health care dollars — for an upstreamist clinic. 6. Vote with, well, your vote. Officials in town halls and city council chambers across the country make policy decisions every day that affect the health of our communities. Health implications crop up in places that might surprise you: Transportation issues and building codes, for instance, can profoundly influence a community’s wellness. Ask your local officials to use health impact assessments, a new tool modeled on environmental impact assessments, to gauge decisions that might seem, on the surface, unrelated to health. Or consider asking them to follow California’s lead — the state created a Health in All Policies initiative to factor health into a wide swath of state decisions. In your own neighborhood, you can join or lead efforts to maintain safe parks and walkable sidewalks, expand healthy food options and limit pollution. If your clinic or hospital has a community advisory board, consider joining it. Finally, you can help by supporting efforts to provide nonpartisan voter registration services in your area. Evidence suggests that communities with higher civic participation rates tend to be healthier. Photos via iStock and icons via the Noun Project. Checklist icon designed by Sabine Wollender. Home icon designed by Jeremy J Bristol. Question icon designed by Istiko Rahadi. Graph icon designed by Erin Standley. Walking icon designed by Arthur Shlain. Rating icon designed by Tommy Lau. Rishi Manchanda is an "upstreamist." A physician and public health innovator, he aims to reinvigorate primary care by teaching doctors to think about -- and treat -- the social and environmental conditions that often underly sickness.